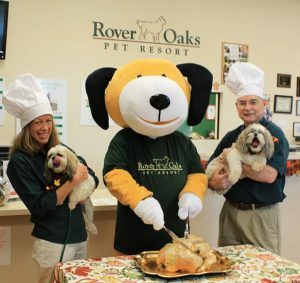 The shelter animals at Citizens for Animal protection got to enjoy a special Thanksgiving treat from their friends over at Rover Oaks Pet Resort! 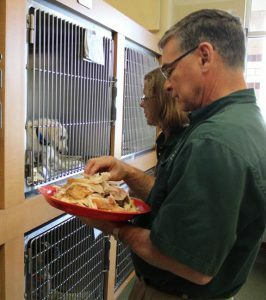 The animal-loving staff at Rover Oaks spent the week roasting turkeys at their Houston and Katy resorts and hand-delivered the tasty treat to the animals who are spending the holiday in the shelter, awaiting their forever homes. 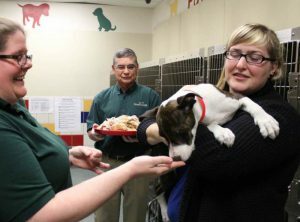 The adoptable dogs and cats enjoyed their meal and are ready for you to come and meet them and their furry friends, all of whom would be most thankful for a happy, safe and loving home for the holidays! 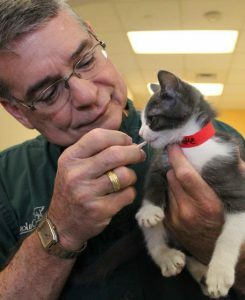 Since opening in 2006, Lee and the staff at the Katy facility have helped CAP find homes for hundreds of dogs, many receiving full makeovers and, in some cases, training to help prepare them for a successful adoption. View a full album of the special event here. I am a senior that together with my daughter, have rescued many dogs. 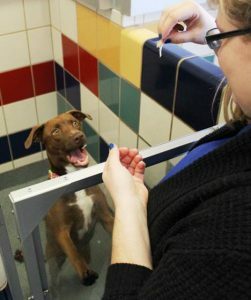 We have posted on a rescueme site, but of late have not received calls. I would like to ask your editor if at least you would consider once a month to help us with publishing at least one dog in the hope to find homes for these animals.